HARRY’S COMMENTS: We are working with Horizon Hobby in their search for a Director of Ecommerce based in Champaign, IL — just two hours south of Chicago. First, let’s talk about Champaign, shall we? I assume you’re already in the ecommerce business. Right? So you’ve heard of the Internet. Well, guess what: In 1992, Marc Andreessen and Eric Bina developed Mosaic, the first graphical Web browser that paved the way for the Internet we know today. Champaign-Urbana has a legacy of innovation that’s pretty much unmatched: From the MRI, to the Web browser to LED technology, CU is a technology hotbed that’s full of opportunity, active city living, and easygoing affordability. There is a lot going on in Champaign-Urbana that makes it a good place to live, as well as attractive to spouses and families. While the University of Illinois is a major part of the community, the area is diverse and has a number of cultural offerings. This is a great gig in a great place. If you’re a battle-hardened direct marketer, you already know that “marketing nirvana” involves selling to a rabid, self-indulgent subculture. Call them enthusiasts: These are the weekend warriors who are 1.) absolutely insane about their pastime, 2.) often share a common language and set of values, 3.) may gather together, and 4.) aren’t shy about spending money on themselves and their hobby. Golfers are probably the best known example — but bass fisherman, Harley-Davidson owners, and gardeners fit this description as well. So do radio controlled (RC) vehicle operators, and as Horizon Hobby’s new Director of Ecommerce, that’s precisely who you’ll be marketing to. With nearly 500 employees around the globe, Horizon Hobby is an international company headquartered in Champaign, Illinois. No matter the location, they are all passionate about one thing: helping people have fun with hobbies! 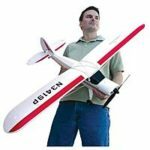 Recent advances in model aircraft and vehicle stabilization, 2.4GHz control and ready-to-run convenience have made RC hobbies more exciting and more accessible than ever before. Operators in the Hobby and Toy Stores industry retail a variety of products, including electronic toys, games, hobby kits and craft supplies. The industry has expanded in the last five years, growing in line with America’s improved household finances. By 2023, analysts expect the entire hobby industry to reach $21.6 billion. According to IBISWorld, hobby industry revenue will expand through 2023 at a CAGR of 1.4%. In particular, an aging baby-boomer cohort will likely increase its spending on RC vehicles, and much of that spending is likely to occur online as Boomers’ comfort level with the online medium increases. As recently as 2010, RC-specific estimates figured the RC space to be worth roughly $363 million. You might assume that today it’s roughly $400 million. As Horizon Hobby’s new Director of Ecommerce, you’ll be responsible for driving profitable long-term growth and increasing customer satisfaction through the firm’s online channels. You’ll be responsible for optimizing Horizon Hobby’s ecommerce revenue, conversion rates, social networking reach, ROI, usability, and functionality. Key focus will be placed on deepening the firm’s direct engagement with its fans. Reporting to the firm’s President and supporting the Consumer Sales and Online Marketing functions, you’ll provide balanced and focused leadership for your team, building an organization that’s aligned with Horizon Hobby’s values, vision, and goals. We have a massive amount of proprietary intel to share with qualified candidates. Our industry research for this assignment exceeds 100 pages! Be sure to TEXT Allan Seibert at (706) 318-1196 for this info. Or simply use the email link when you apply for the role below. Lead all aspects of the company’s ecommerce business strategy development with focus on creating long-term value propositions across company retail sites and third party platforms. Manage online campaigns across different channels to ensure program specific ROI goals are met. Analyze and develop new online marketing relationships such as affiliate programs, link building, and sponsorship opportunities. Guide merchandising and email teams to create effective consumer communication campaigns to increase open rates, conversions, new customer acquisition and retention. Manage projects involving new products or enhancements to online environment (e.g. loyalty programs, affiliate programs, search engine marketing and optimization). Measure customer satisfaction through online satisfaction surveys, analysis of Net Promoter Score, etc. and recommendations for modifications based on that customer feedback. Experiment with natural and paid search methodologies; test and recommend optimal search engine optimization strategies for all web properties. Track and share ecommerce and retail trends as well as competitive landscape information. Leverage this data for growth. Manage vendor and channel partner relationships. Work with technical team to ensure that website technology, structure, organization, design and functionality are customer driven, user-centric and metrics-based. Play an integral role in Web Site design and functionality. Participate in strategic planning and business case development to guide ecommerce technology investment decision making, support implementation and analyze post-live business impact of enhancements. Demonstrate the ability to drive analytics (e.g. average order value, promotion effectiveness, conversion rate, customer retention) to grow sales and increase profitability. Develop and implement action-oriented dashboards and scorecards to measure the health of the business. Optimize site experience and work with technical resources to optimize mobile experience. 10 years of business experience, including responsibility for an annual operating budget in excess of $5 million with P&L responsibility. 3-5 years of director-level experience focused on D2C ecommerce, digital marketing, and sales. Bachelor’s degree in Business Administration, or related field. Possess highly developed leadership and management skills. Strong organizational, communication (written and verbal), interpersonal, general business administration, sound judgment and assessment skills. Computer literacy is essential in MS Office, business intelligence tools, and mainframe applications. Occasional travel is required, less than 10% of the time.